There is an endless summer in Southern California, hence I am featuring another dress and sandal combination. Smock dresses are my favorite because of that perfectly unflattering fit. I've been packing to spend fall semester in Europe and I am so looking forward to some colder weather. Oh, I also switched up my hair a bit. As the savvy woman I am, I wanted to write a post on how to stretch your dollar when purchasing high-end beauty products. I definitely have my drugstore favorites, but there are just certain products I prefer to buy high-end. Being conscious of my student budget, I have to make smart purchases. Therefore, I am sharing some tips on how to be a smart shopper when filling up your make-up bag. Stores like Costco are based on this concept. When you buy the bigger size, you are getting more for your money. I typically go high-end for my simple, everyday products. For something that I am going to be using often, it pays more to buy the bigger size. My favorite example of this is with my favorite self tanner, the St. Tropez bronzing mousse. The 4 oz. bottle is priced at $32 while the 8 oz. bottle costs $42. So for $10 more, you can double the amount of product you will get. Therefore, you get more product up front and save more in the long run. The best way to purchase high-end shadows is to go with a palette system. Pre-made palettes are great for beginners because the shades are already put together in one place. The only thing is, there are always one or two shades in a palette that you just don't really use or you run out of your favorite shade that can't be refilled without purchasing an entirely new palette. One you have an idea of what shades you like, it is best to stick with a palette system because you can customize the shades you want and you can always replace single colors in the palette. MAC is the system I stick with and individual eyeshadow pans cost around $10. That seems expensive but for high end quality it really is an inexpensive option. Not only do I love the finish of loose powder, but buying translucent powder makes it versatile as you can use it on any skin tone. I have the Laura Mercier loose translucent powder which comes with 1 oz of product. As most powders come with around .35 oz of product, you can imagine how long this powder has lasted me. I am nearing the end of mine after two years and I just removed the sifter to make sure I get all the product out of the container. Perfumes are pretty pricey. I love testing different ones out and the pretty bottles are always so appealing. However, I have just recently started to utilize rollerball perfumes. If you are one to always try out different scents, rollerball perfumes are a great way to do so. Costing significantly less than the full bottles, you don't have to feel bad about having different ones to choose from. Especially because I don't end up wearing too much perfume at a time, they can really go a long way. 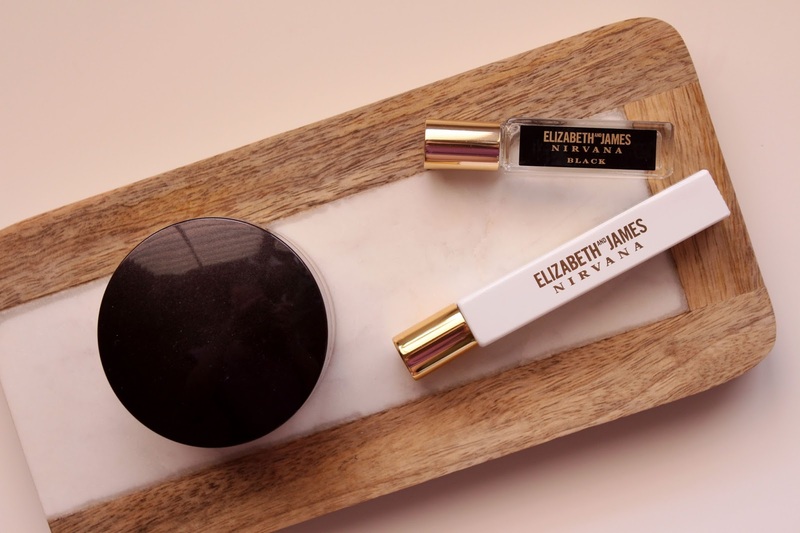 However, if you have that signature scent that you wear every single day, it is definitely better to invest in the full size bottle to really get your moneys worth of product. I like to look at buying high-end makeup as more of an investment. I am investing in better quality products that I think perform better. As with any investment, you need to do your research, keeping what you want the product to do in mind. For the longest time, I was buying the Benefit Triple Performing Facial Emulsion as my everyday moisturizer. It really is a lovely product, but I felt like I was buying it pretty frequently and I wasn't even using it at night because of the SPF. After perusing around Sephora, I found the First Aid Beauty Ultra Repair Lotion which comes with 8 oz of product opposed to 1.7 oz of the Benefit one. Yes the product is different, but it is the versatile, simple moisturizer I was looking for that will last me a lot longer. Of course, I sometimes splurge on a product without keeping all of these things in mind. 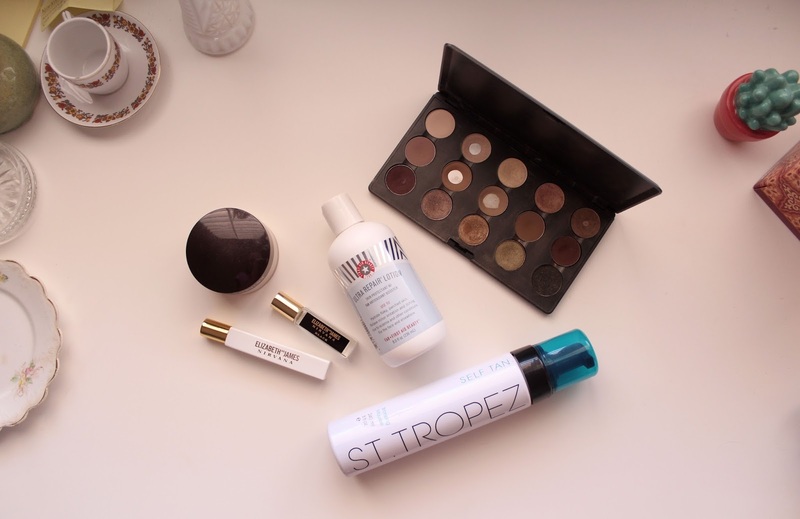 But for products I re-purchase and use consistently, I like to shop according to these tips! Hopefully this helps you out a bit. Thanks for reading. I'm back with another lifestyle post for you. There is so much exploring to do and especially in a city like Los Angeles, there is always something new to see. My friend is a huge Kanye West fan and his exhibit with Steve McQueen at LACMA gave us an excuse to head to LA again. Our first stop was the exhibit, which was basically just an extended music video playing on repeat in the center of the room. You get access to the exhibit just with a general admission ticket, so we enjoyed walking around the rest of the museum because I shamefully have never been inside. There are always food trucks across the street from LACMA so we also grabbed something to eat while we were there. My favorite food truck (which unfortunately was missing in action) is the Arroy Food Truck. If you ever see this truck around, I definitely recommend grabbing something. Next on the agenda was the Bates Motel on Sunset. There isn't really much I have to say about this one. It was an old abandoned motel on Sunset that they painted completely white, even including the Palm Trees. It was cool to see but I guess I don't know enough of the backstory to fully take interest. We finished our day with one of my favorite things to do - grabbing a coffee from one of LA's best, this time being Intelligentsia. We went to the Intelligentsia in Silver Lake which is such a cool part of LA. There are so many little shops and restaurants to check out and it just had a pretty good vibe. That's all there is to cover for this one. Hope you enjoyed reading about what I was up to! Don't forget to check out my Instagram account to see more photos like these.